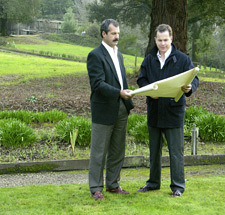 CONCIERGE SERVICE | Hugh Cornish : Real Estate of Atherton, Menlo Park, Portola Valley, Woodside and Palo Alto. Peninsula homes of the Bay Area. 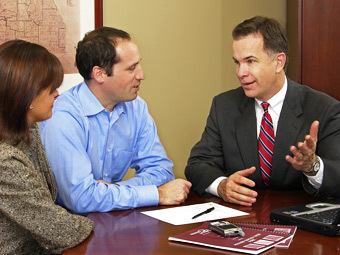 Hugh Cornish and Associates offer an exceptional level of marketing expertise and personalized attention. Hugh prides himself on excellent customer service and a strong partnership that continues beyond the transaction. With over 25 years experience representing buyers and sellers, Hugh has the expertise to think outside the box, giving his clients an edge over the competition. As the #1 Agent in his office for 14 years out of the past 17 years, Hugh’s constant monitoring of the local market enables him to keep his clients apprised of any activity which might impact the sale of their property. Prior to placing a property on the market, Hugh prepares a written proposal outlining his marketing strategy and reviews each listing document with you. Hugh creates a timeline highlighting all the important aspects of his preparation of your property for the market. This will include a schedule of all inspections of your property. In addition, Hugh will formulate a list of his personal recommendations, so that your property may be presented at its very best. Hugh and his team create an integrated marketing campaign for every home, using professionally designed materials for print and online presence. For every listing, custom-designed brochures, direct mail, and newspaper ads are complemented by Internet marketing that includes electronic distribution of each listing to a wide-reaching local audience with syndication to numerous national and international websites. Hugh’s personal website, www.HughCornish.com, provides round-the-clock exposure with a custom design that allows for an in-depth look at every listing Hugh represents. 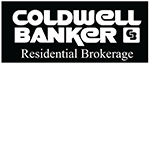 Coldwell Banker’s renowned presence across the country and worldwide, in both print and online, provides added exposure for every one of Hugh’s listings. Hugh and his team understand the importance of social media and the number of people using it to find just about anything, including homes. Hugh uses sites like Facebook and Instagram for paid advertising to expose your home to very targeted demographics. 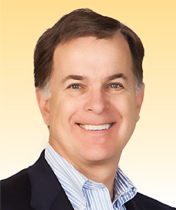 Hugh’s primary goal in every transaction is to achieve the best price and most favorable terms for his clients. With career sales of over $2 Billion, Hugh is an intelligent negotiator, who is known for his understanding of current contract requirements and his attention to detail. Hugh’s experience and his ability to think outside the box give his clients an edge over the competition. In the past few years as environmental and legal concerns have grown, so too has the number and complexity of documents pertaining to the sale of residential real estate. As your agent, Hugh devotes himself to coordinating the details of every escrow, making sure his clients are well-informed at each step, and smoothing the way to a rapid and satisfactory conclusion. Integrity, trust, and diligence can significantly impact a real estate transaction. Hugh has spent 25 years earning a reputation based on these principles. Hugh’s homeowner’s concierge service for both buyers and sellers provides a network of reputable home-improvement professionals. Hugh and his team assist sellers in preparing their homes for the market. From painting to landscaping to window washing, Hugh’s team will coordinate and oversee every project from start to finish. Buyers also benefit from Hugh’s vast experience in the field of home improvement. Hugh and his team are happy to advise buyers when it comes to selecting the right vendor for the job. When you see the Cornish Concierge Service Logo on his marketing materials and ads, it is just a reminder of the extra service you can expect.